Rachel Merrick was born and raised in Aiken, SC. She graduated with a Bachelor of Science from Clemson University prior to earning her Master of Health Science in Occupational Therapy from Medical College of Georgia. 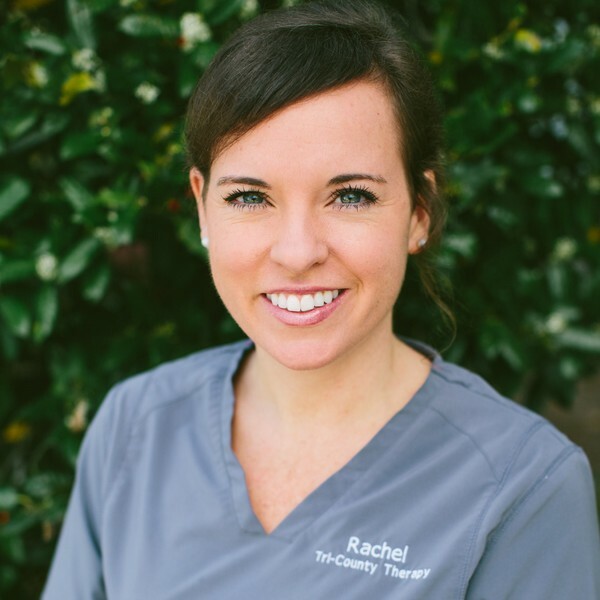 Rachel is Tri-County Therapy’s Lead Occupational Therapist for the Charleston area. While Rachel has a passion for helping children in general, she has a particular interest in understanding and treating children with sensory processing delays. She has enjoyed working with pediatrics with a wide range of diagnoses in the clinical setting for the majority of her career. Rachel has experience with a variety of therapeutic techniques including sensory integration, hippotherapy, aquatic therapy, visual motor/visual perceptual training, multiple feeding techniques, Kinesio taping, craniosacral therapy/myofascial release, listening programs, etc. Rachel completed Krisi Brackett’s CAN EAT course, which provides a medical, motor, behavioral approach to feeding disorders in children. In her free time, Rachel enjoys hanging out with her husband, Chris, family and friends, being active outdoors, and exploring all that Charleston has to offer.